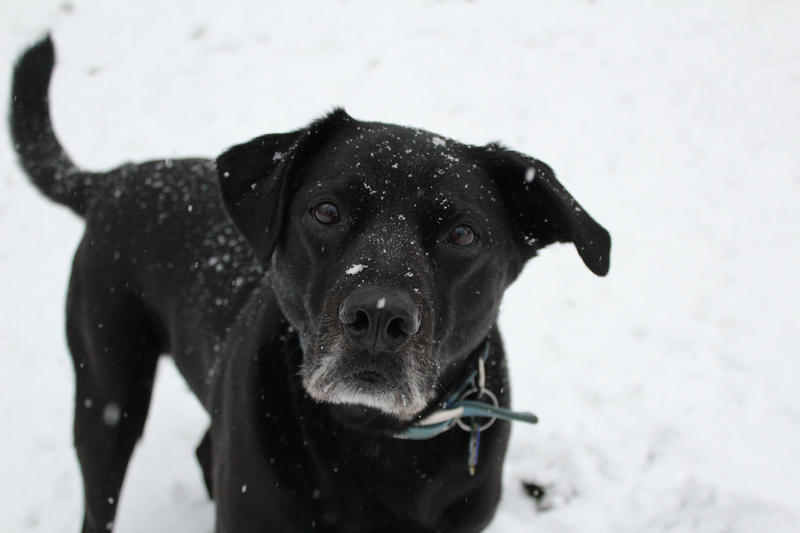 Eight years ago today, a sweet little black lab puppy was born. A short two years after that, Shadow wiggled his way into my life. Happy 8th birthday! Today I tried a class at the work gym. I’m not a huge class person and normally don’t really like working out with other people. I think I’m hooked on CrossFit. For those of you who don’t know what it is, CrossFit is a core and strength training program, consisting of varying exercises that change every time. It was hard. I was red-faced and sweaty before we even finished warm ups (seriously, when was the last time you jumped rope!?) but I loved every minute of it. I have a feeling I’m going to hate it tomorrow morning when I get up to swim, but it’s a great hurt! Thanks to “Auntie M” for convincing me to go and for teaching me the exercises! 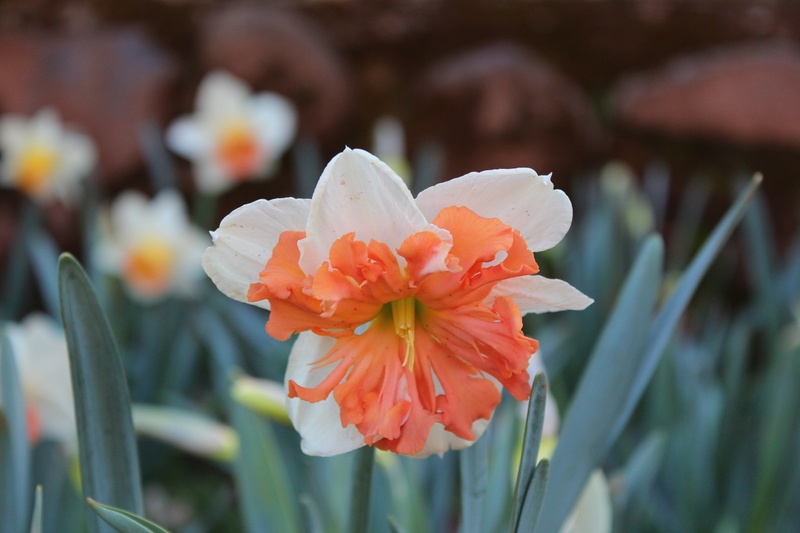 Ever since I moved in with Mike I’ve wanted to visit Daffodil Hill in the spring. Each year, something has happened that has made that impossible – mainly, a brief period of warm weather followed by a cold snap and snow. The snow kills off the flowers for the year, so that pretty much ruins the trip. Today I headed over with Dad, Kati, Nate, and Chloe. 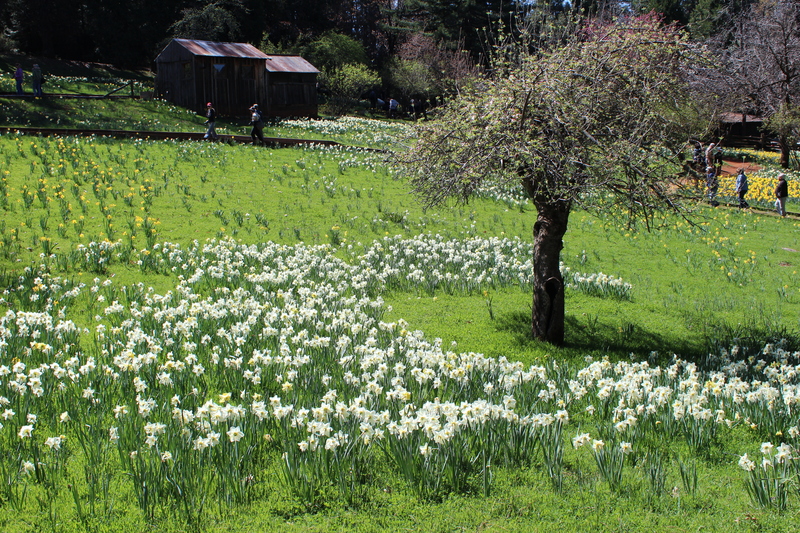 According to their website, it’s estimated that Daffodil Hill is carpeted with over 300,000 bulbs when in full bloom. That’s pretty impressive! It was a beautiful day and it was really nice to walk through. They have a bunch of different varieties that I didn’t realize existed. 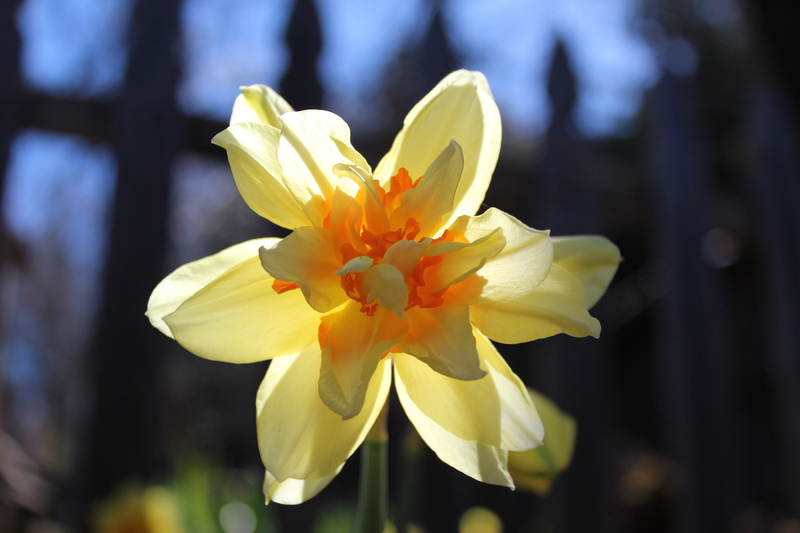 This one was really pretty, too – I think it was more luck than skill, but the picture turned out really amazing! When we got back to the house, Mike made some amazing burgers and then we hung out for a while. Chloe was such a good girl and even consented to hang out with Uncle Mike for a while! 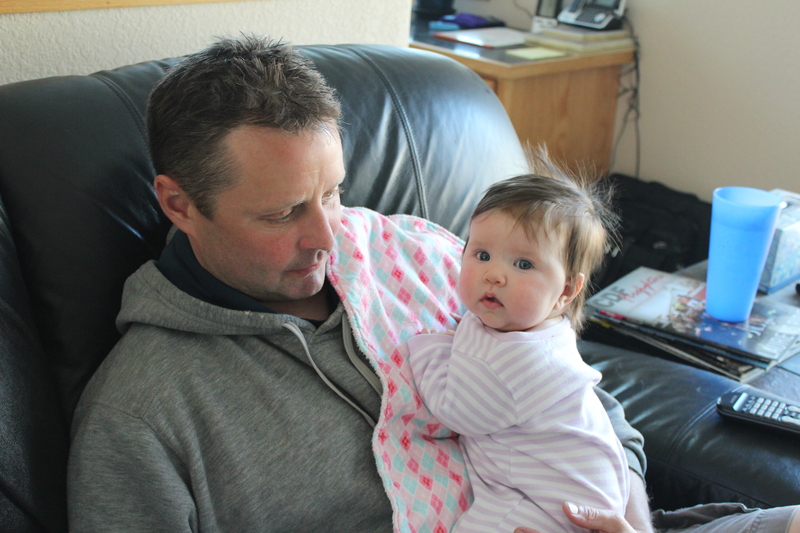 I love that little girl so much… she’s getting so much more inquisitive and interactive! 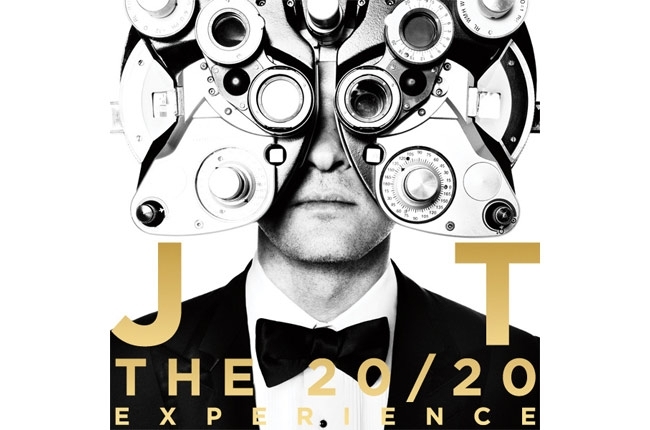 FINALLY Justin Timberlake has come out with a new album, titled The 20/20 Experience. I was super excited to get tickets to see his show later this year (I’ve seen him in the past and he’s an amazing performer) and am now even more excited now that he has new material! There are big chunks of this album that remind me of old school JT, and there are big chunks that are very Robin Thicke-esq. I love the mixture of the two. It definitely has a more R&B focused sound to it, which I think his voice fits perfectly into. I don’t necessarily think that this album is as great as FutureSex/LoveSounds was, but it’s right up there. Can’t wait for the show! … except the texture. The seasonings were delicious, the cabbage and potatoes were great. The meat has the consistency of fat. You know, that sort of rubbery feel. That’s not to say that Mike didn’t cook it well… It was the same consistency the last time I tried it. All of that said, I ate my plate (that says a lot for someone who is as picky as I am) and enjoyed my Guinness. I randomly found this article on CNN earlier this week. They do a weekly column titled “Apparently This Matters:” that talks about some pretty random stuff. This week’s column was about an obituary that has gone viral. Harry Stamps passed away on March 9th and his daughter sat down to write his obituary – having no idea that it would be such a big hit. I love the part about his irrational fear surrounding his funeral. Honestly, Harry sounds like a cool dude and I wish I could have known him! Harry was locally sourcing his food years before chefs in California starting using cilantro and arugula (both of which he hated). For his signature bacon and tomato sandwich, he procured 100% all white Bunny Bread from Georgia, Blue Plate mayonnaise from New Orleans, Sauer’s black pepper from Virginia, home-grown tomatoes from outside Oxford, and Tennessee’s Benton bacon from his bacon-of-the-month subscription. As a point of pride, he purported to remember every meal he had eaten in his 80 years of life. The women in his life were numerous. He particularly fancied smart women. He loved his mom Wilma Hartzog (deceased), who with the help of her sisters and cousins in New Hebron reared Harry after his father Walter’s death when Harry was 12. He worshipped his older sister Lynn Stamps Garner (deceased), a character in her own right, and her daughter Lynda Lightsey of Hattiesburg. He married his main squeeze Ann Moore, a home economics teacher, almost 50 years ago, with whom they had two girls Amanda Lewis of Dallas, and Alison of Starkville. He taught them to fish, to select a quality hammer, to love nature, and to just be thankful. He took great pride in stocking their tool boxes. One of his regrets was not seeing his girl, Hillary Clinton, elected President. He excelled at growing camellias, rebuilding houses after hurricanes, rocking, eradicating mole crickets from his front yard, composting pine needles, living within his means, outsmarting squirrels, never losing a game of competitive sickness, and reading any history book he could get his hands on. He loved to use his oversized “old man” remote control, which thankfully survived Hurricane Katrina, to flip between watching The Barefoot Contessa and anything on The History Channel. He took extreme pride in his two grandchildren Harper Lewis (8) and William Stamps Lewis (6) of Dallas for whom he would crow like a rooster on their phone calls. As a former government and sociology professor for Gulf Coast Community College, Harry was thoroughly interested in politics and religion and enjoyed watching politicians act like preachers and preachers act like politicians. He was fond of saying a phrase he coined “I am not running for political office or trying to get married” when he was “speaking the truth.” He also took pride in his service during the Korean conflict, serving the rank of corporal–just like Napoleon, as he would say.